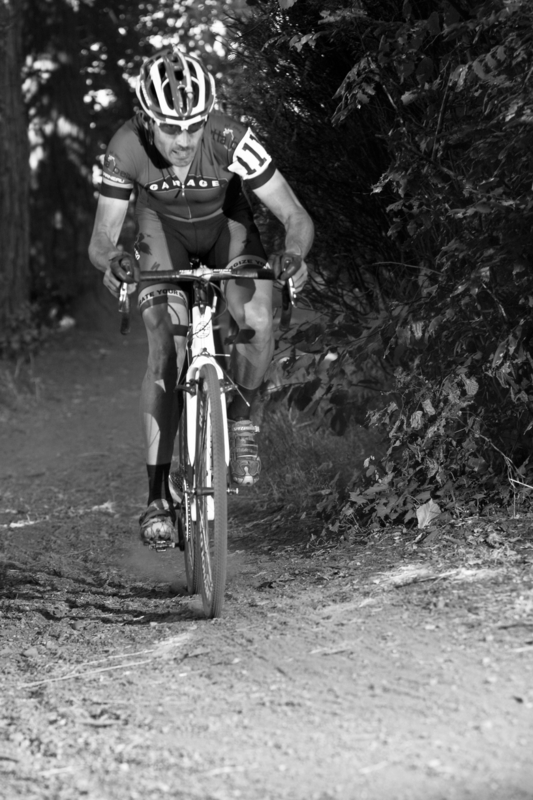 For some, the road racing season is only a warm-up to the real racing season of Cyclocross. This year has been no exception. A dedicated group of Garage Racing faithful have been tearing it up on the Seattle CX scene across a multitude of categories in both of the local cross series. The season started with a bang with a resurgent Matt Hill taking second at Big Finn Hill in the Cat 1/2 45+ group. This served as a warning shot to all in that category that Matt was back, and with a vengeance, after recovering from a serious back injury. With consistent placing in the following races, Matt broke through with a victory in the Starbucks SCCA race at Marymoor. Taking a cue from Matt's script, Nikos Mills raced the Garage colors to victories at the Lake Sammamish GP, Starcrossed, and Woodland Park in the Cat 1/2 45+ field. Not to be outdone, Sean Phillips was also racing with notoriety. Unfortunately for Sean, a big, bad luck cloud seemed to be perpetually parked above his head as he found new and novel ways to break his bike. Center Cycle, our excellent bike shop, got very used to greeting Sean on Mondays after a weekend of racing. However, we all know this is just a transitory bad patch, and Sean will be tearing it up soon (the course, that is). 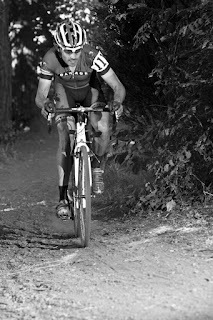 With only the final SCX race at Monroe and the CX State Championship left, the local cross season is coming to a close. From the dust-bowl conditions of Starcrossed, to the mud and cold of Steilacoom, it's been another eventful cross season for Garage Racing.